In less than three months 'Solo: A Star Wars Story' will hit the cinema screens and I suspect Han is going to be hot property all over the world once more. But, for the majority of us long term Star Wars fans, he's been our favourite space smuggling pirate for decades. 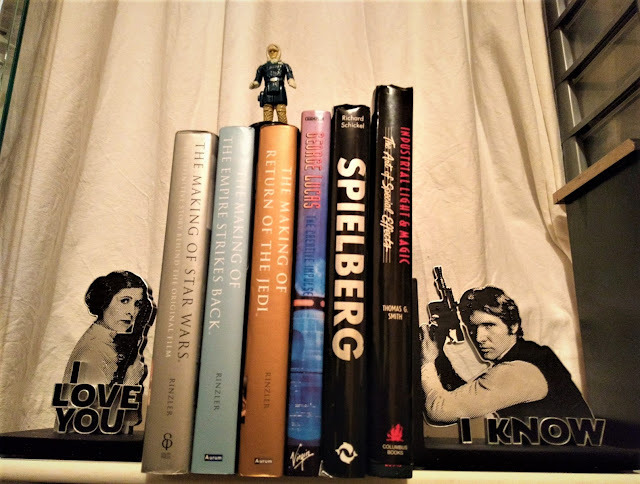 Ever since 1977, I've been a fan of Han Solo and when it was playtime in the school playground way back in the latter years of the 1970's it was the captain of the Falcon every kid including myself wanted to pretend to be, not Luke Skywalker. He was super cool with his trusty blaster by his side and a loyal Wookiee towering over him, always there to assist in his latest adventure. What's not to like? Imagine my delight when I got my hands on these incredible bookends featuring not only Han Solo but Princess Leia too. 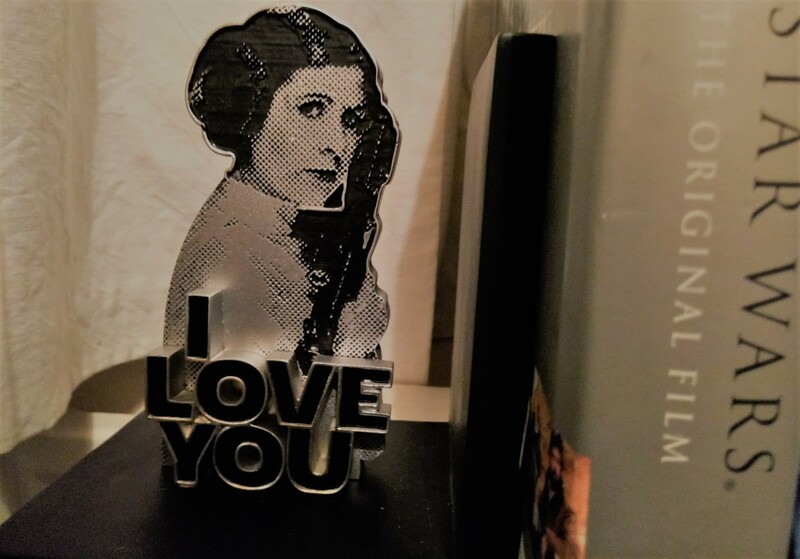 That famous scene in The Empire Strikes Back when just before Han is lowered into the Carbon-freezing chamber Leia leans forward and says "I love you." 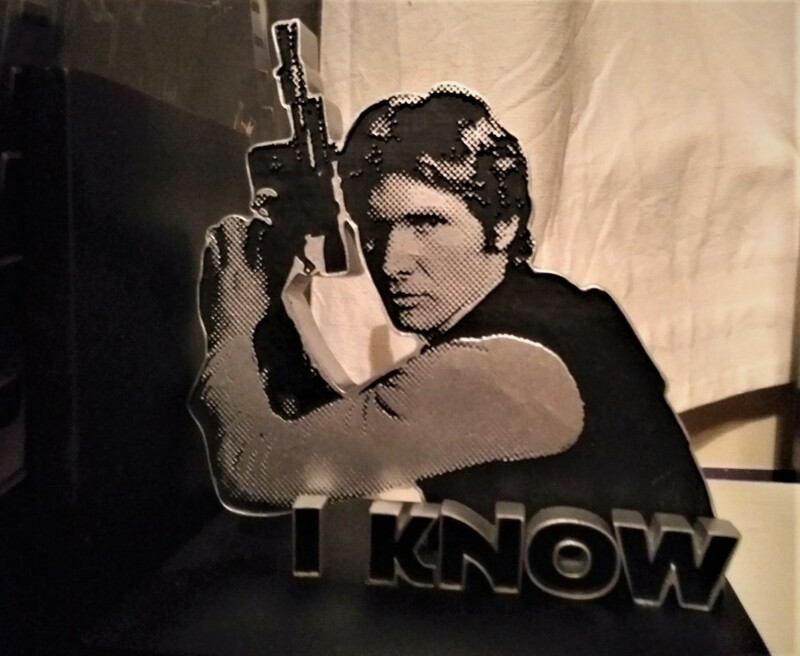 To which Han replies with all the coolness in the world "I know." Come on! 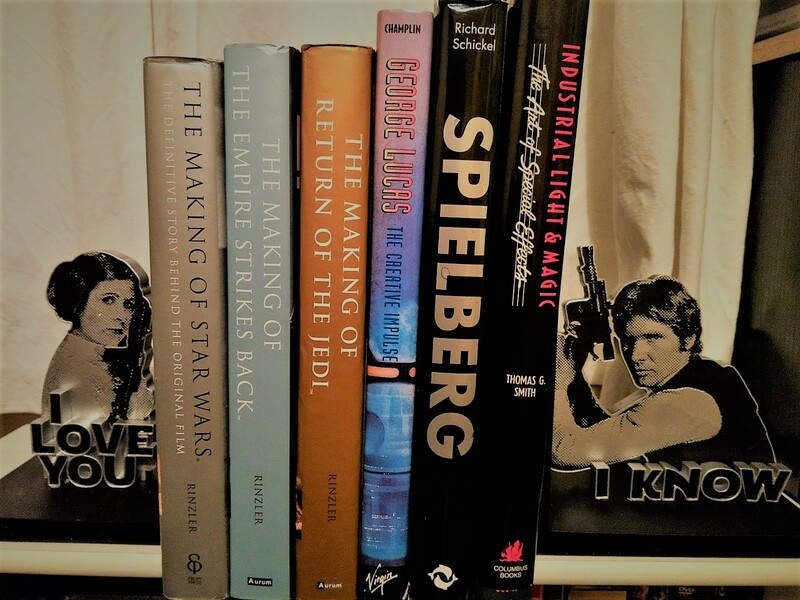 That is not just cool, that is Hoth cool and that's the theme of the bookends. You have to admit they look amazing, especially with my collection of 'Making of' Star Wars books in the middle. They have a lot of weight to them being made of resin and wood so I can easily sneak a couple of other books in there too. Dimensions are 7.5" W x 7.5" H x 4.5" D. They are $49 for the pair, you won't be disappointed with the quality As Han says, "trust me."